TEGUCIGALPA, Honduras (AP) — Honduras President Juan Orlando Hernandez called on the country’s leaders Tuesday to accept his disputed re-election and bring peace to the divided country, even as his challenger said he would once again challenge the official result. “The people have spoken and it only remains to comply with their will, expressed freely at the ballot box,” Hernandez said in a televised speech. But street protests continued Tuesday, with roads and highways blocked at various points by burning tires and rocks two days after the Electoral Tribunal rejected complaints by Salvador Nasralla and declared Hernandez the victor in the Nov. 26 election. According to the court’s official count, Hernandez won with 42.95 percent to 41.42 for Nasralla, a former sportscaster backed by a left-leaning coalition. However the Organization of American States, which had observers monitoring the election, called for a repeat of the vote, saying the official version of the count included “extreme statistical improbability.” A Georgetown University researcher who advised the OAS said an implausibly uniform wave of late-breaking results across the country pushed Hernandez past Nasralla after a daylong interruption in counting. Nasralla, who was in Washington to rally international support, said he would file a new formal appeal of the results, and said he was encouraged by the reaction of the U.S. government, which issued a statement Monday urging parties unhappy with the vote to take advantage of a five-day period to appeal it. 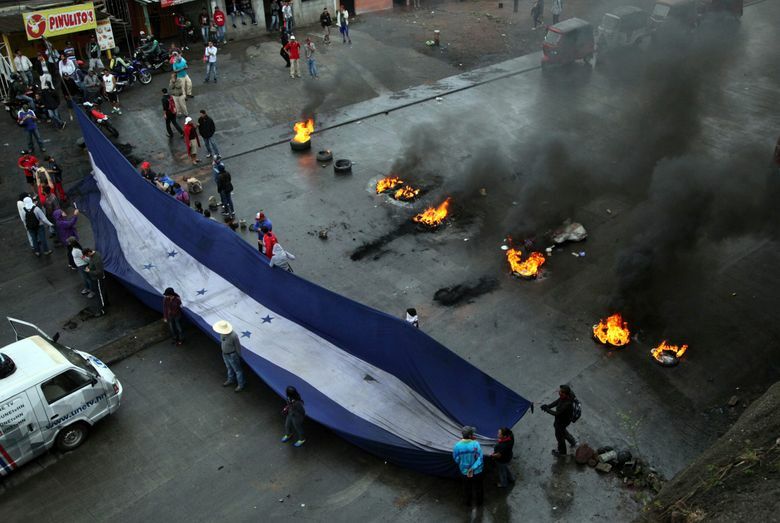 But Honduras Vice President Ricardo Alvarez insisted on Monday there would be no do-over. The election began in controversy over the mere fact Hernandez was seeking re-election. The country’s constitution explicitly bans it and another former president — now leader of Nasralla’s coalition — was ousted from office by the army, legislature and courts just for allegedly considering it. But a pro-Hernandez Supreme Court ruled in 2015 that the ban violated his rights, paving the way for him to run. Verna Osorto, American Airlines’ manager in Tegucigalpa, said the carrier had canceled flights to the country since Friday. Especially in the second city of San Pedro Sula, Osorto said, the passage of vehicles and persons has been interrupted by blockades and protests. The cancellations were made “due to questions of security because we do not want to expose our passengers and employees,” the manager said. The opposition and the Committee of Detained and Disappeared, a non-governmental organization, said at least 24 people, including two police officers, have been killed in the three weeks of unrest. However police spokesman Jair Meza said 17 deaths have been officially confirmed. 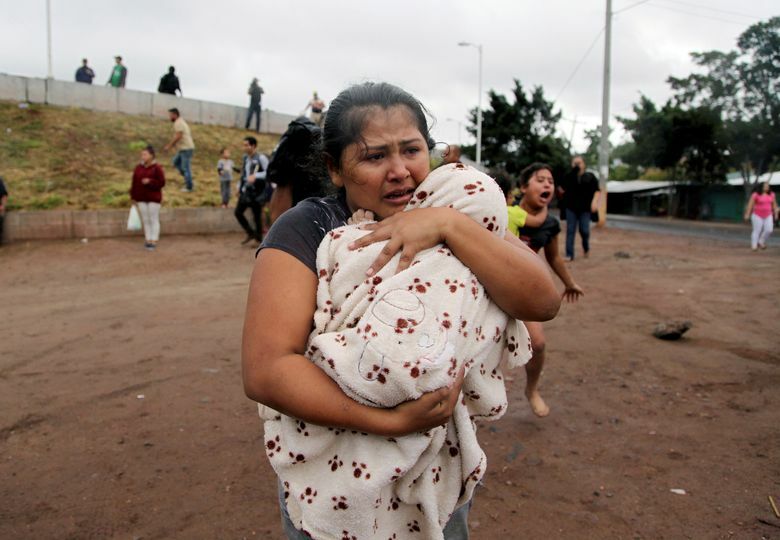 In the town of Quebrada Seca, protesters threw fire bombs at police installations and one officer was seriously wounded, police chief Byron Sauceda said. The officer was receiving medical attention. Luis Alonso Lugo reported from Washington.